Cao Bang, a mountainous province, is located in the northeast of Vietnam. This province shares the border with Lang Son and Bac Kan in the south and Ha Giang and Tuyen Quang on the west. 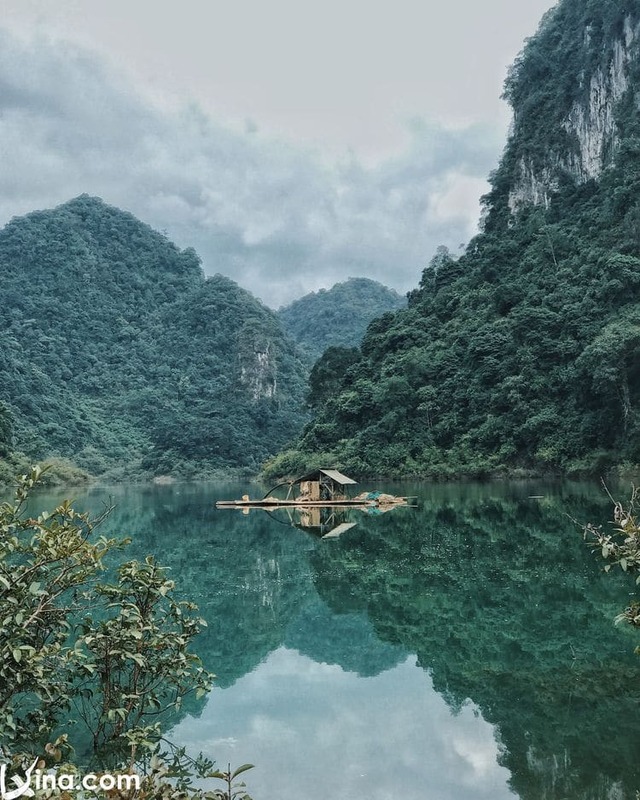 Cao Bang has a cool climate all year round with a bunch of wild and magnificent landscapes. Expect forests, mountains, streams, rivers, waterfalls, and more. In addition to this, you can find here many historic relics marking a history-rich period of Vietnam. 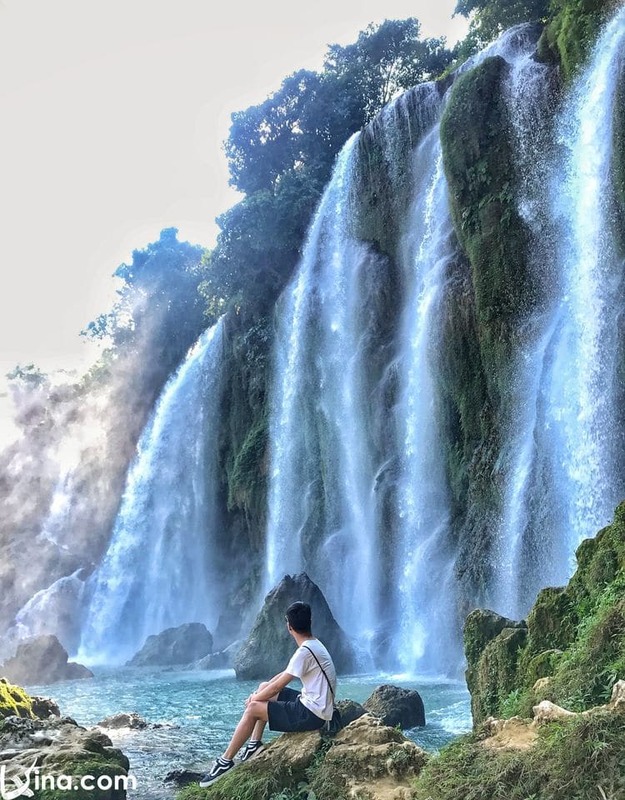 The following must-see places in Cao Bang are the most famous and exciting in this province, if you’re lucky enough to spend time here, don’t skip these points of interest. In each season, there is the different beauty in Cao Bang Province but the best time to visit here is from August to September. Also, you are possible to travel to this site from November to December to watch many different kinds of flower that is opened everywhere here. You shouldn’t visit this province in the summer since it is very sunny and hot in this season. Ban Gioc Waterfall is located around 365km from Hanoi in Dam Thuy Commune, Trung Khanh District, which originates from the peaceful Quay Son Rivers. It is the fourth largest waterfall in the world and is also the most beautiful and majestic waterfall in Vietnam. With a width of 300m and a height of 53m, the waterfall is split into three layers. It’s divided into three falls by trees and rocks. The feature hue of the waterfall in autumn is turquoise. At the foot of the waterfall is a flat and wide river with forests and green grass. Travelers can sit on floating rafts on Quay Son River and see local people fishing. 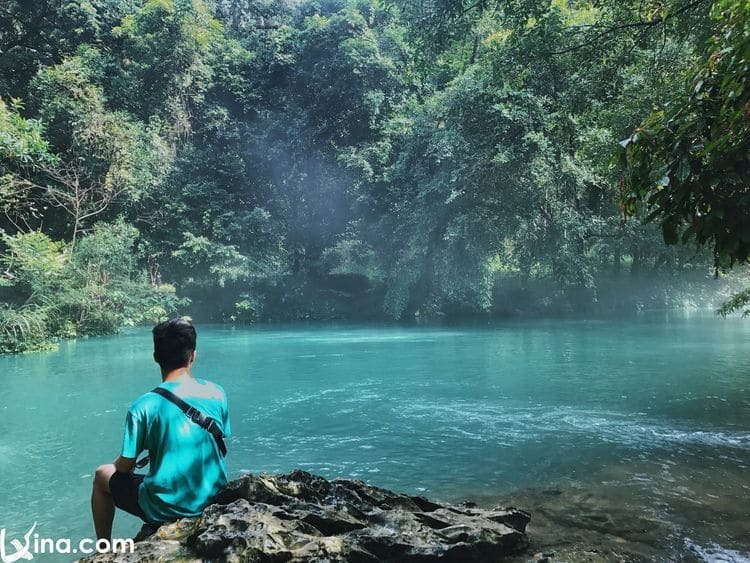 Recently, Ban Gioc Waterfall has been listed by WondersList website in the top ten greatest waterfalls in the world. Pac Bo belongs to Truong Ha commune, Ha Quang district, Cao Bang province and is a particular relic of history in Vietnam. Pac Bo is a place where President Ho Chi Minh worked and led the revolution of Northern Vietnam. There are a lot of famous relics in Pac Bo historical site marking a historical period of Vietnam. Tourists can have an opportunity to know about a heroic stage in the history of Vietnam through many vestiges: Pac Bo cave, the memorial house of Uncle Ho, Cave of Nguom Vai (hang Ngườm Vài), Lenin stream, Lung Lan cave (hang Lũng Lạn), Stone table where President Ho Chi Minh worked, etc. Thang Hen is situated in Quoc Toan Commune, Tra Linh District, around 25km far from Cao Bang town with 1000m in width and 3000m in length. The name of the lake in Tay’s language means bee tail because the lake looks like the bee tail from above. In front of the lake, there is a large cave and water flows from it all day and night. Thang Hen Lake has beautiful scenery with green trees bending around the valley of boulders, shining down to the blue water, and stretching out over the cliffs. The best time to visit the lake is in the rainy season from September to October. The lake is much smaller in the dry season. 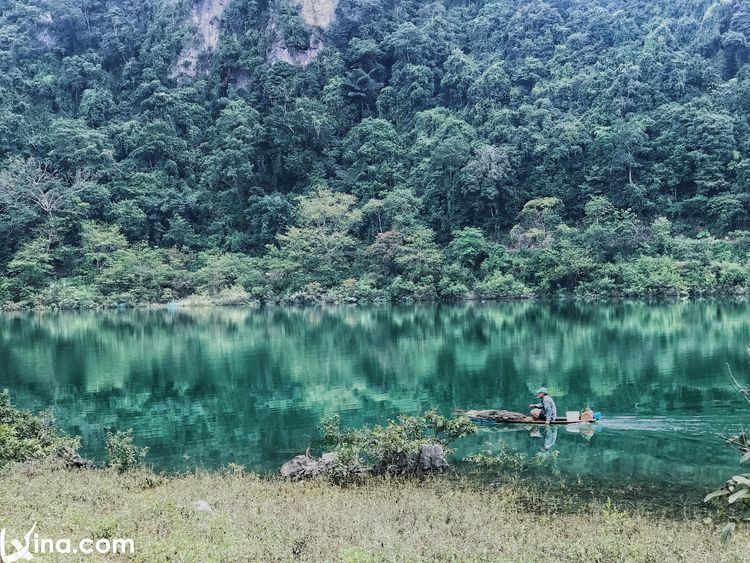 Thang Hen Lake was recognized by the Ministry of Culture and Information in 2002 as an ecological tourism area of Cao Bang Province. Nguom Ngao Cave is located in Gun Hamlet, Dam Thuy Village, Trung Khanh District, about 90 km from the city of Cao Bang. It was explored by local people in 1921. The cave is regarded as a most beautiful cave in Vietnam due to its size and uniqueness. Nguom Ngao in Tay’s language means cave between rock valleys or tiger cave. 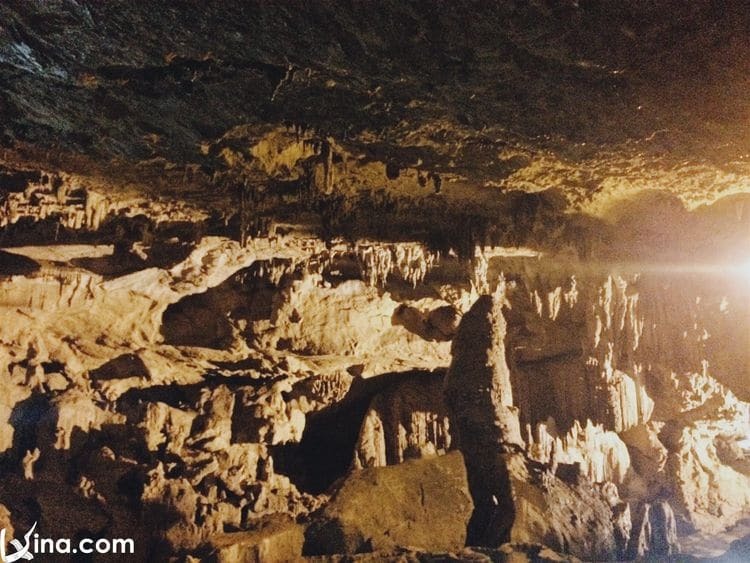 Nguom Ngao cave includes three main gates with 2,144 meters in length. The first gate is Nguom Lom which is cool all year round and hidden under rocks at the foot of the mountain. The second one is Nguom Ngao which is several hundred steps from the foot of the mountain. The third one is Ban Thuon gate which is behind the mountain, next to the Thuon village of the Tay people. Nature has endowed Thang Hen cave with stone formations looking like human beings, plants, trees, and mythical animals. Furthermore, the cave is very large, and one branch reaches nearly all the way to the waterfalls. The system of stalagmites and stalactites has created an extremely interesting and magnificent scene. The pagoda is located on Phia Nhu Mountain, Dam Thuy commune, around 500m from Ban Gioc Waterfall. It is the first pagoda was built in the border region in the north in 2013. You can watch the entire Ban Gioc Waterfall from the pagoda. The pagoda is particularly rich in traditional Vietnamese religious architecture patterns, which sits on a land plot of about three hectares in Trung Khanh District. The pagoda includes a three-door gate, drum tower, bell tower, steles, temples of national heroes (Nung Tri Cao), guest houses, Hung Kings, and a beautiful landscape. 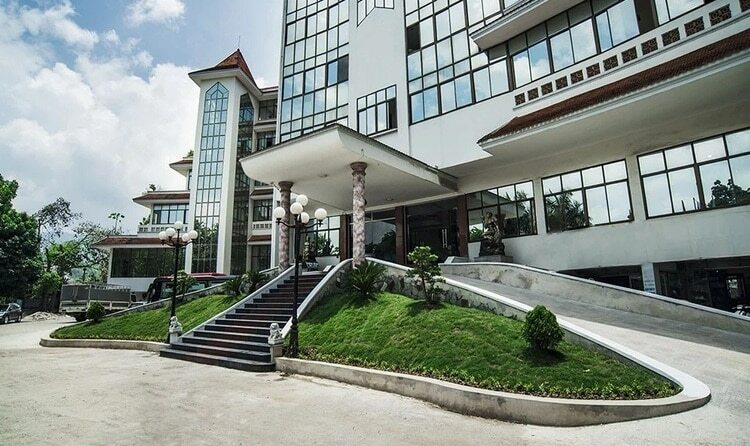 Phia Oac belongs to Nguyen Binh District, Cao Bang Province. Phia Oac spreads over four communes namely Quang Thanh, Thanh Cong, Tinh Tuc, and Phan Thanh. Phia Oac is the root of Cao Bang with a peak of 1.931m above sea level. 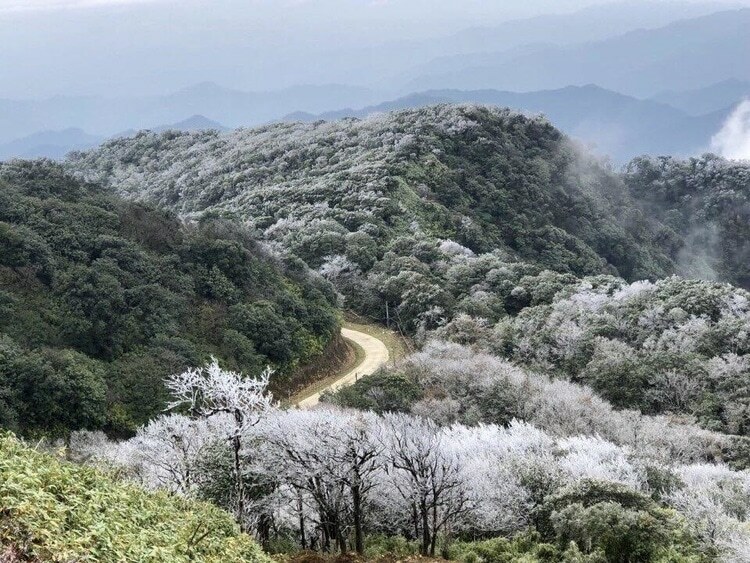 Phia Oac attracts travelers with its huge salmon aquaculture, beautiful landscapes of diverse forests, national parks with more than 300,000 hectares, and nature reserves. Arrival to Cao Bang, you will have an opportunity to try the traditional and local food in this mountain area. These traditional foods are very fresh, delicious and good for your health. Cao Bang Sour Noodle Soup (Phở Chua Cao Bằng): This dish is the specialty of Cao Bang Province. The noodle is ductile combining with the duck, bacon fat, and other herbs and seasonings. Trung Khanh Chestnut: Trung Khanh is a well-known place where you will be enjoyed the most delicious fruit. Chestnut is famous in Trung Khanh which is plump and brown. This food can be boiled, cooked or steamed, which the best method to maintain the natural scent. Peng Ray (Bánh Trứng Kiến): In the language of the Tay people, Peng Ray means egg cake. In April or May, the Tay people often go to the jungle, gather ant’s eggs, bring back and then prepare a tasty cake with them. The ingredients of this cake include flour, fig leaves, and ant’s eggs. It impresses tourists by the fat of eggs, the fresh taste of fig leaves, and the flavor of onions. 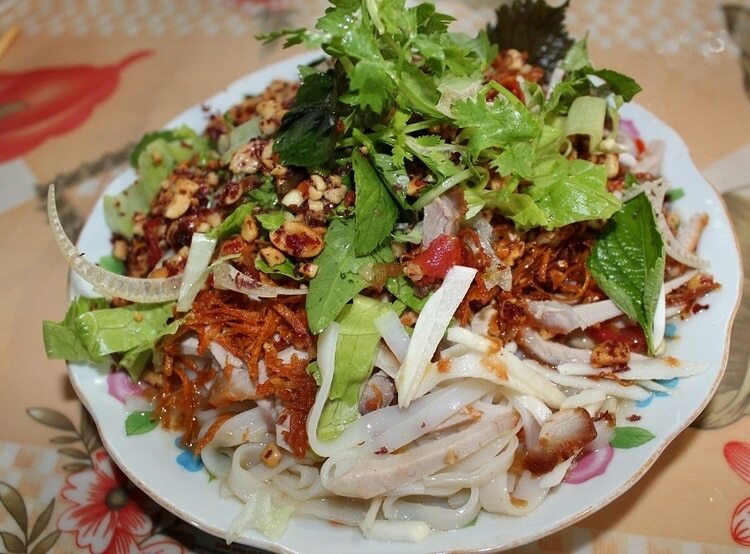 You should try one of these foods once visit Cao Bang. With all the attractive must-see places in Cao Bang above, Cao Bang Province is one of the most-visited tourist attractions in Vietnam. If you enjoyed reading this post and would like some more informative tips about what to do, eat, and see in Vietnam, please follow us at our Vina homepage.